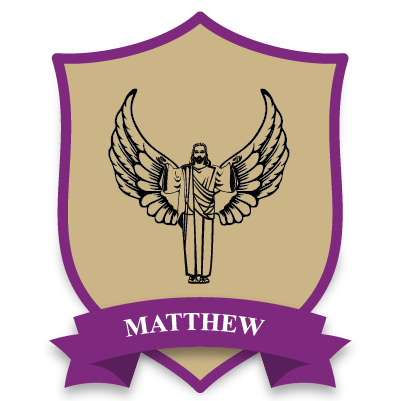 The gospel according to Mathew symbolizes Christ's human nature. Demonstrating Exemplary Conduct and Wisdom. 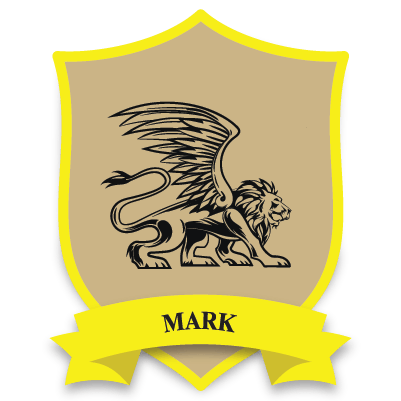 The gospel according to Mark symbolizes Christ as King. The Winged Lion demonstrates Authority, Power and Courage on the path to Salvation. The gospel according to Luke symbolizes Christ's Ultimate Sacrifice for All Mankind. 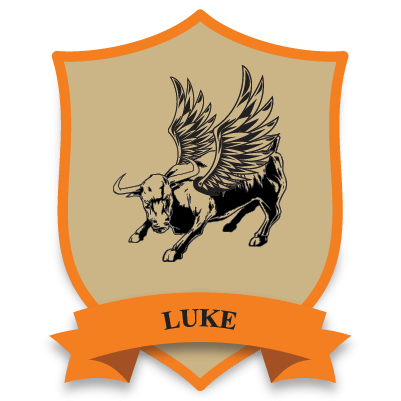 The Winged Bull demonstrates Service, Strength, and Bravery. 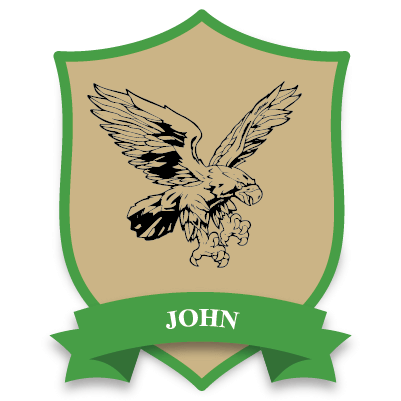 The gospel according to John symbolizes Christ's Godly Spiritual Attributes: Soaring Above, Power of Vision, and Swiftness.